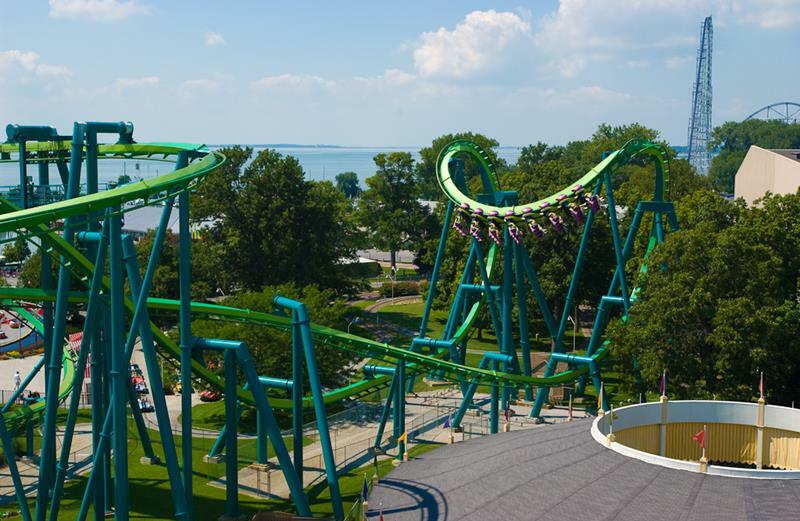 Located in Sandusky, OH, Cedar Point Amusement Park is one of the largest and most fun amusement parks in the entire world. 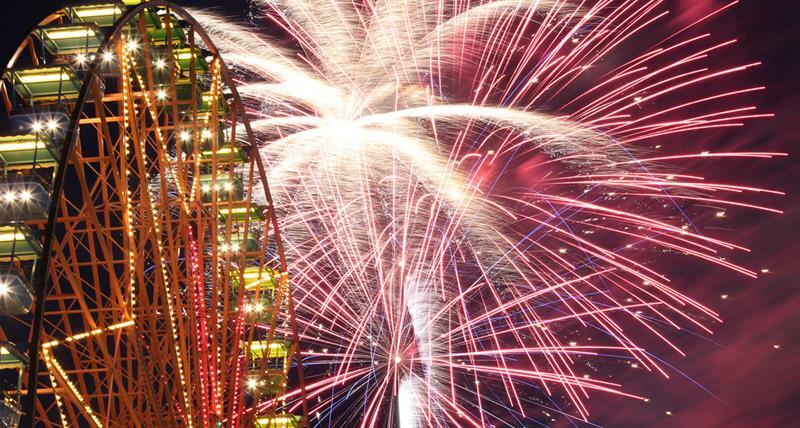 For the few months of the year that it’s open, countless people come from all over to take on the amazing roller coasters, thrill rides and water rides you’ll find here. 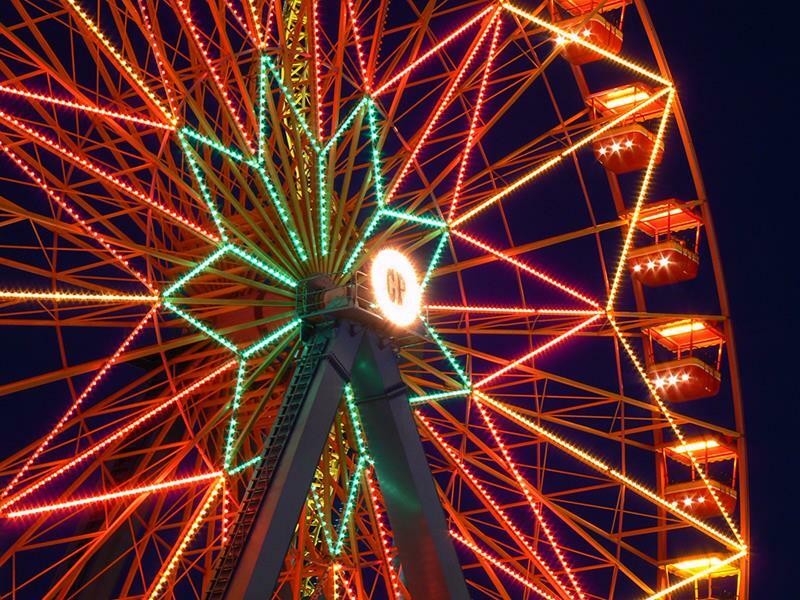 These adrenaline-pumping rides are what keep this amusement park at or near the top of every thrill-seeker’s list of places to visit. 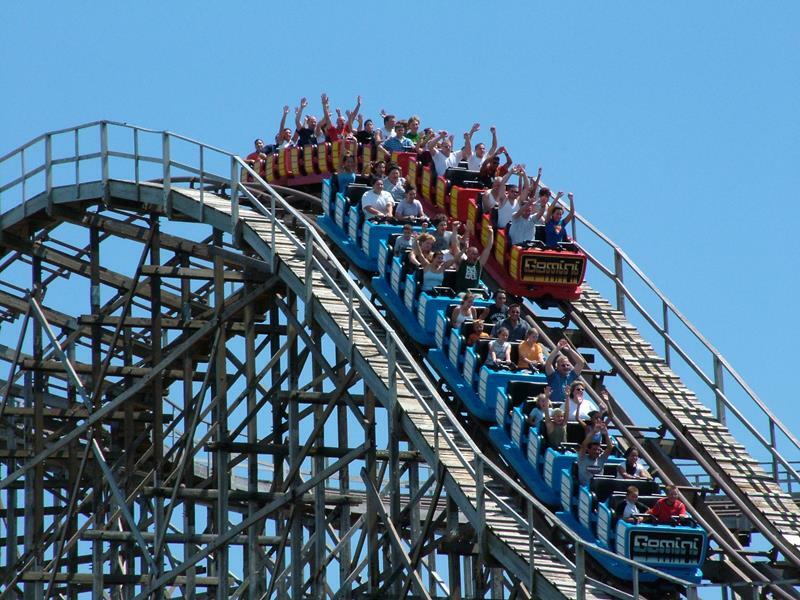 Cedar Point boasts two classic wooden roller coasters that will have passengers holding on for dear life. But, that’s just the tip of the iceberg. 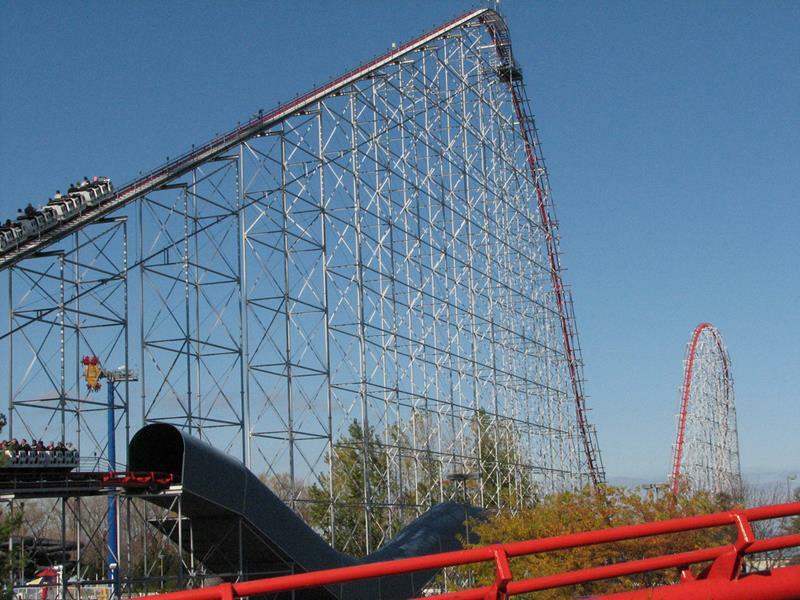 There are 14 other roller coasters that offer even more thrilling excitement, including the Millennium Force, which accelerates passengers from 0 to 120 miles per hour in only a matter of seconds. 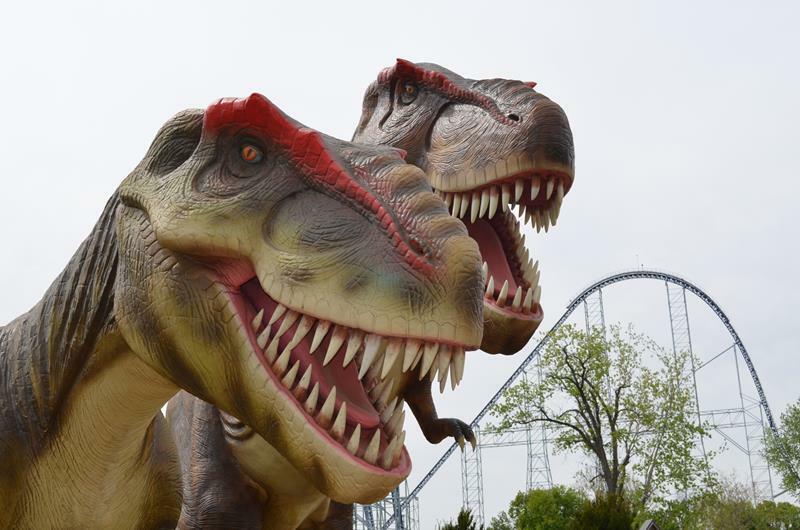 There’s plenty for the little ones here too, including an amazing park filled with dinosaur recreations, as well as plenty of less aggressive rides. 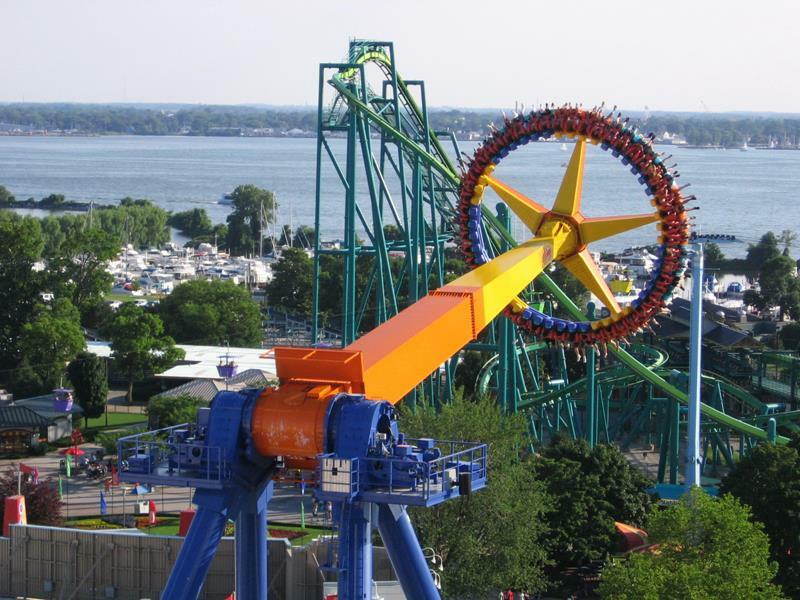 So come take a tour of Cedar Point Amusement Park, and see why everyone travels here for thrills each and every summer. You’re going to find a lot to like, including a ride that will send you spinning 300 feet up in the air, which you’ll find at number 35 on the list! 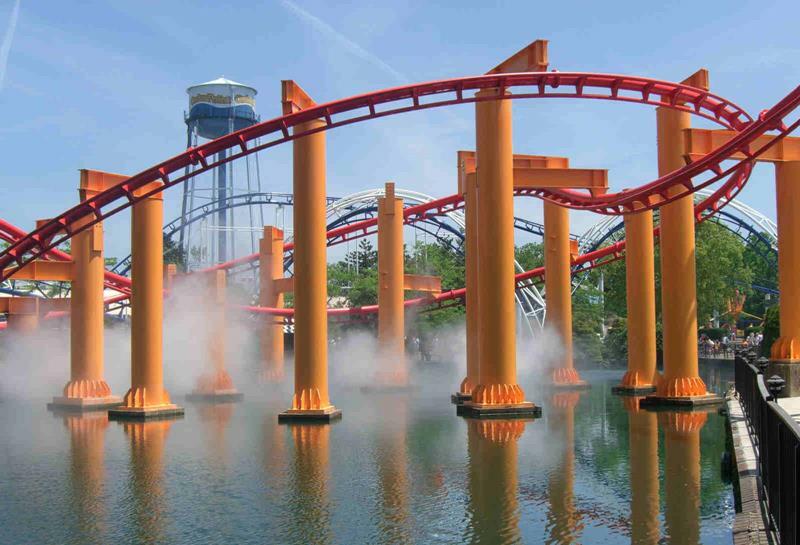 As one of the largest amusement parks in the world, you’ll find plenty of thrills, chills and spills at Cedar Point Amusement Park. 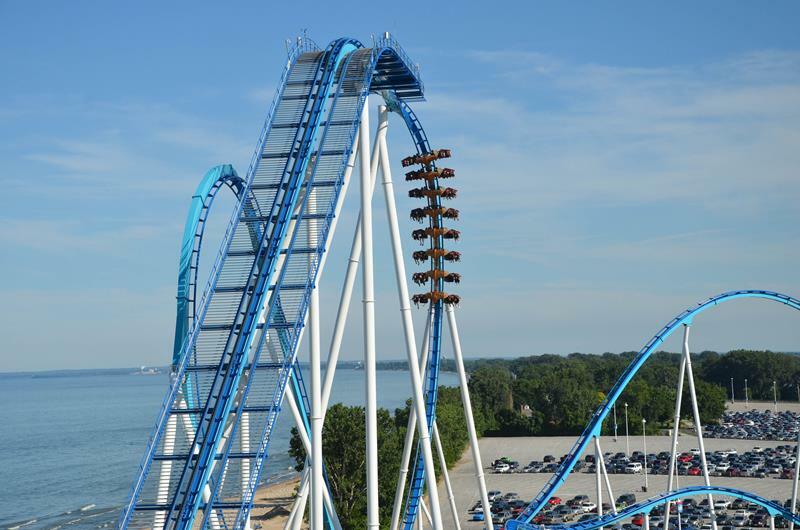 The main attractions at Cedar Point Amusement Park are the roller coasters, and the exciting GateKeeper is the newest. 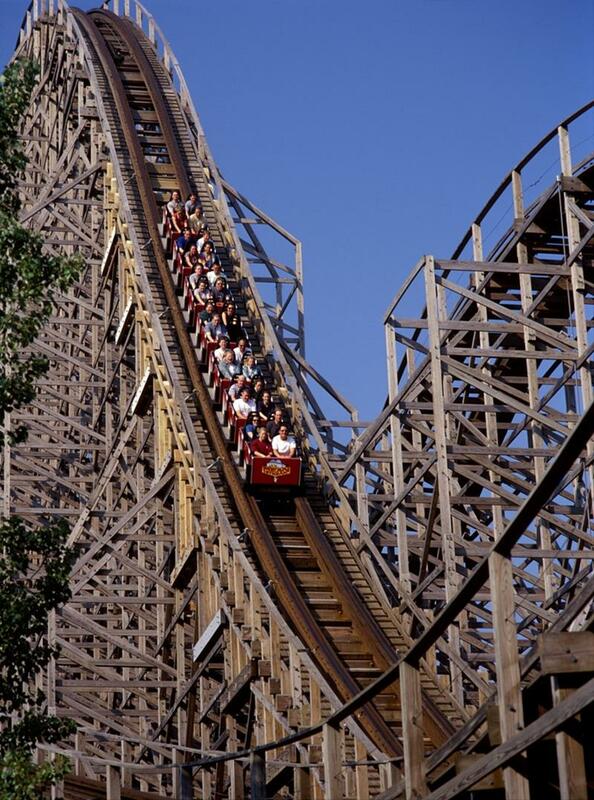 In operation since the 60s, this classic wooden roller coaster takes its passengers up to speeds of 40 miles per hour. As you might have guessed from the name, this amazing roller coaster will be spinning you around as you reach speeds of 48 miles per hour. Have you ever wanted to know what it’s like to be in a mine cart that’s lost its breaks? 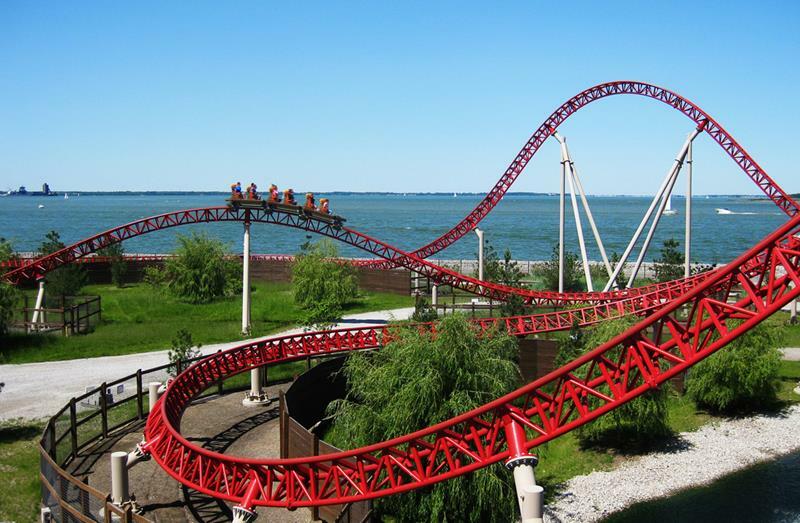 This thrilling ride will give you that experience! 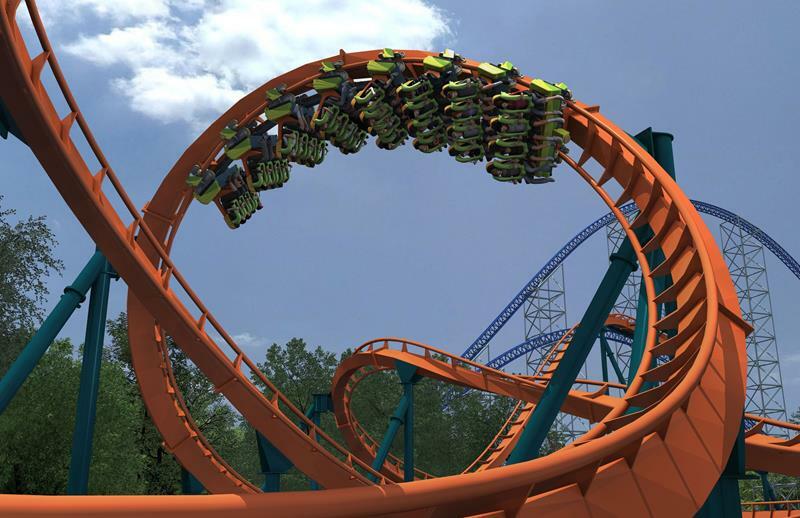 This roller coaster is the ultimate 2-minute thrill ride. 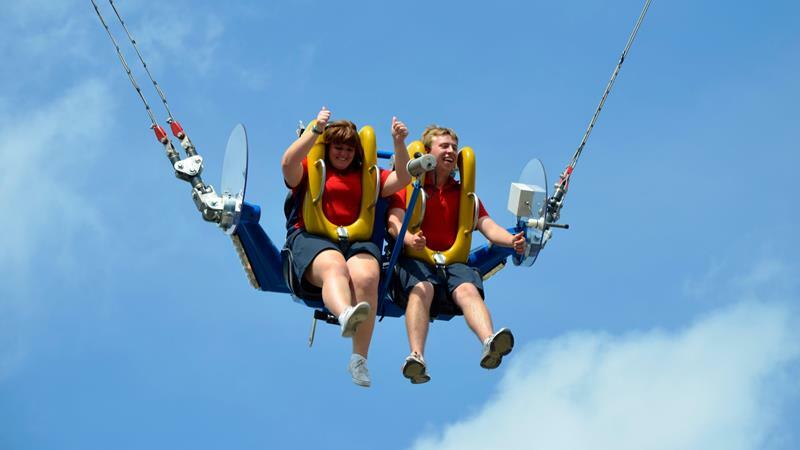 Not only does it take you 200 feet up into the air, but it will also send you careening along at speeds of up to 70 miles per hour. This ride sends two groups of carts, one red and one blue, careening around as they race one another to the finish line. The highlight of this thrilling roller coaster is the horseshoe turn it puts its passengers through in complete darkness. 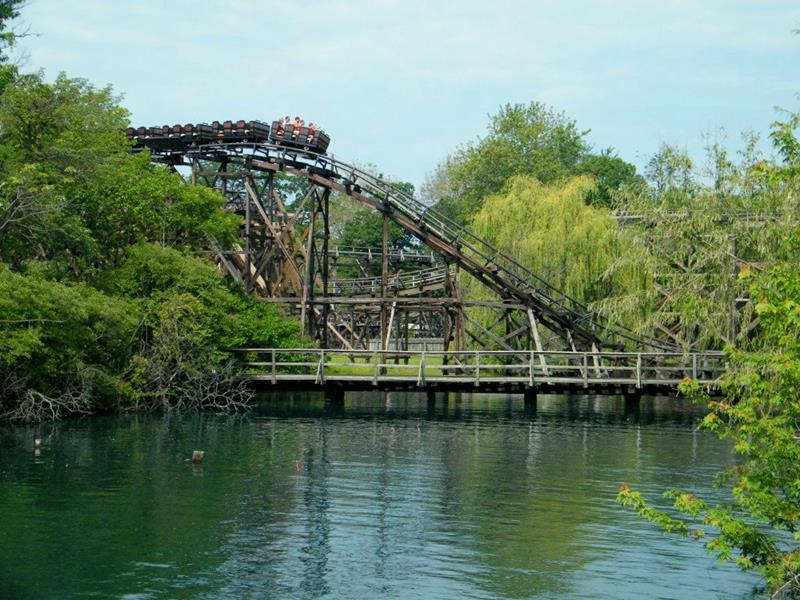 This suspended roller coaster has plenty of twists and turns that take passengers through the woods and over a lagoon. 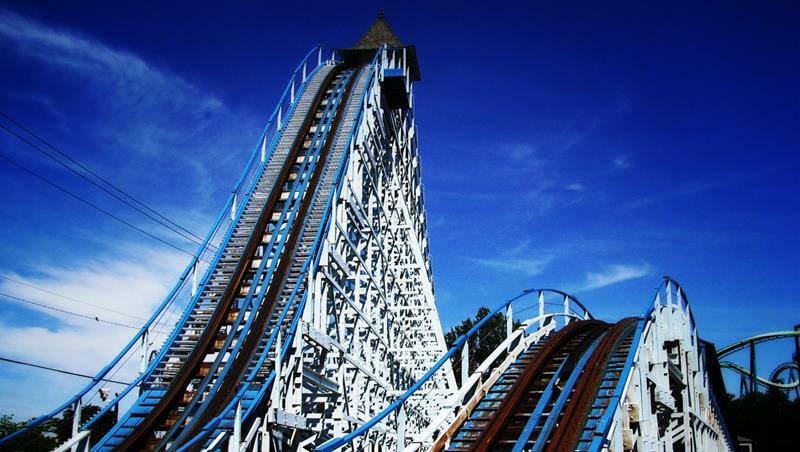 If the Blue Steak was too tame for you, then you’ll have to take a ride on its big brother, which is also a wooden roller coaster. The Pipe Scream is an interesting take on the roller coaster, as it features a short track along which passengers are spun around and around. 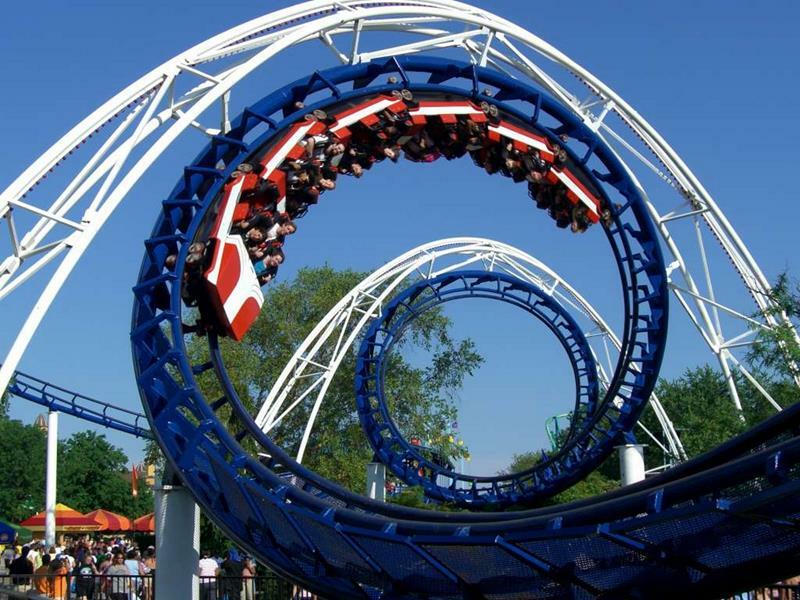 Not for the faint of heart, this twisting and winding roller coaster doesn’t even have a floor! 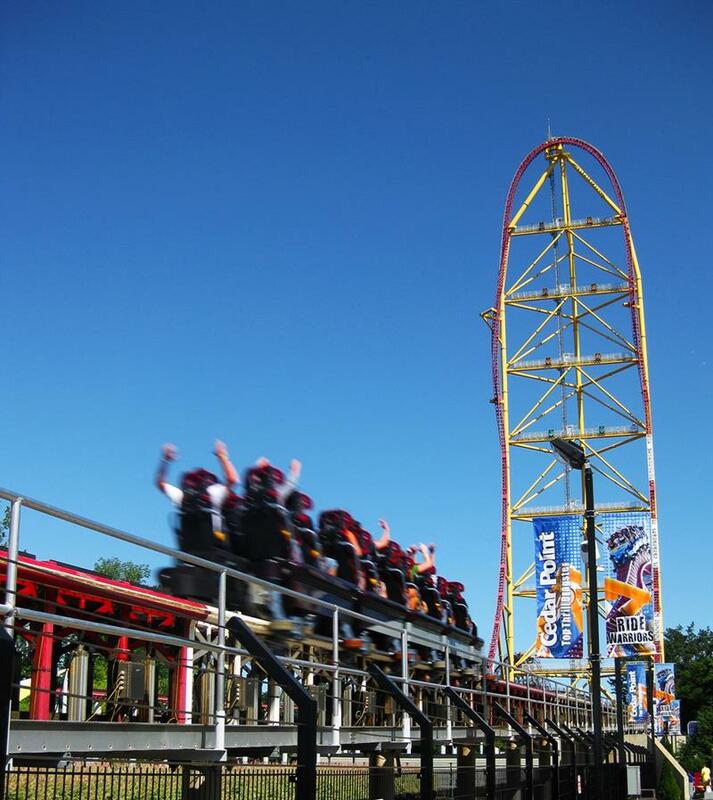 Reaching a maximum height of 310 feet and hitting speeds of up to 93 miles per hour, this is easily the most aggressive roller coaster in the park! When you’re riding the raptor, you’ll feel truly taken away, as the roller coaster doesn’t provide you with anything to set your feet on. This little ones that don’t meet the height requirements of the other roller coasters will find plenty to like on this kid-friendly ride. 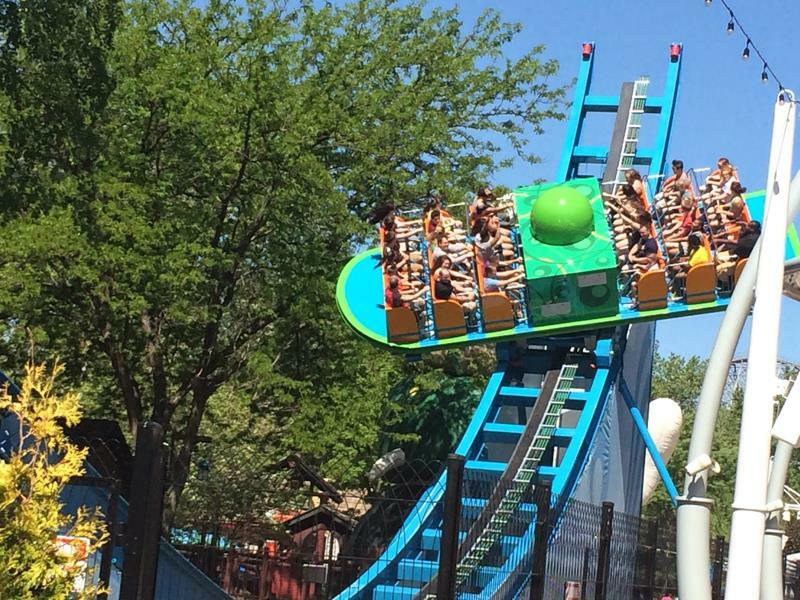 Although a shorter ride than most, you’ll find the half of a minute you spend on this thrill ride plenty enough! 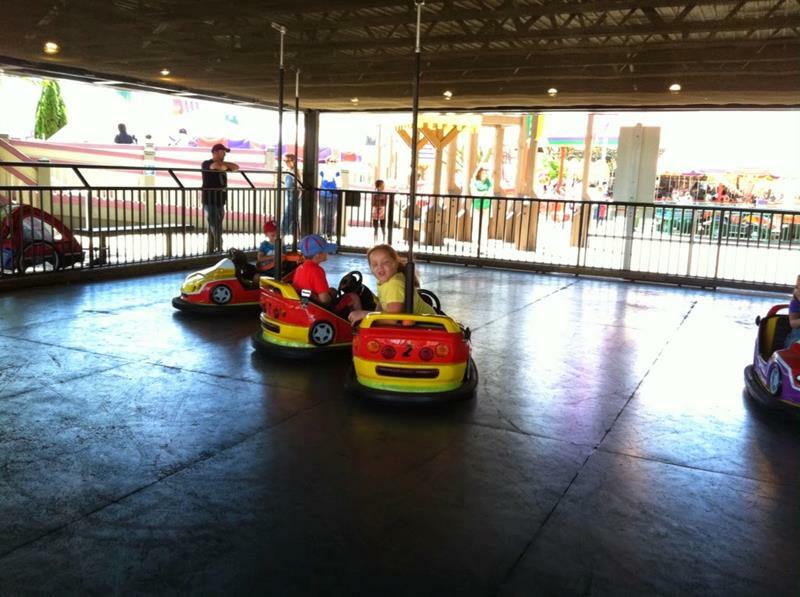 If you want to take the really little ones on a roller coaster trip, then this will be the one you want to visit. 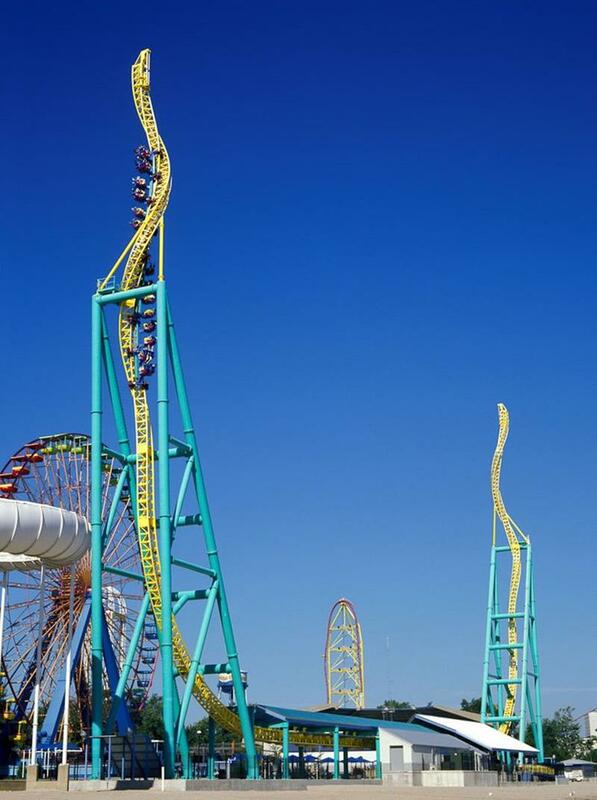 Thrusting passengers from 0 to 120 miles per hour in only four seconds, you may not even have time to get scared as this coaster flings you 420 feet above the ground. 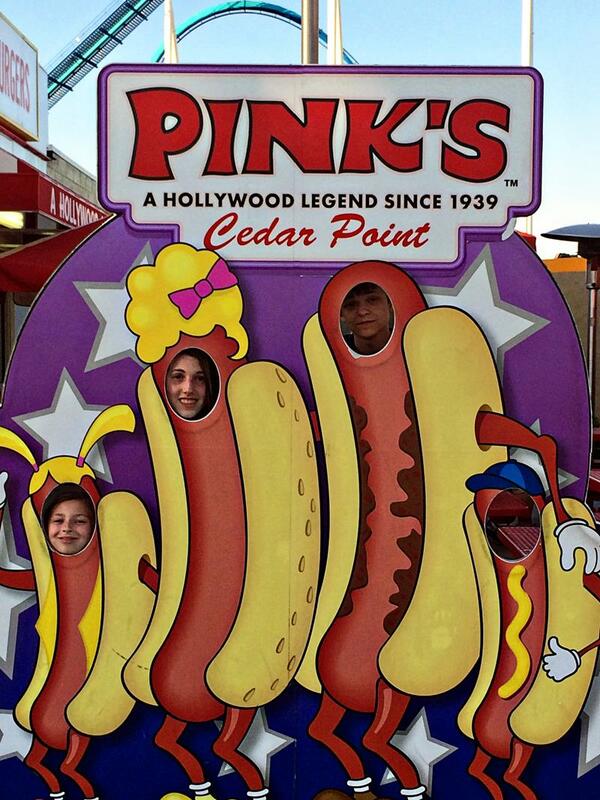 Pink’s Hot Dogs is one of the most famous hot dog stands in the world, and Cedar Creek Amusement Park has its own! After all that excitement, it might be time to chill out. 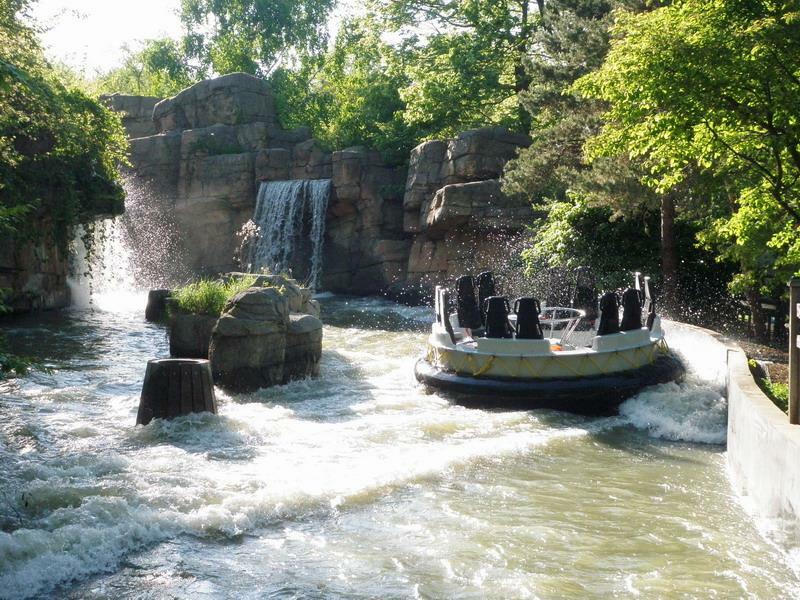 So, why not get wet as you traverse the rapids of Thunder Canyon. It’s essentially a roller coaster and a water ride all wrapped up in one. What more could you want in one ride? 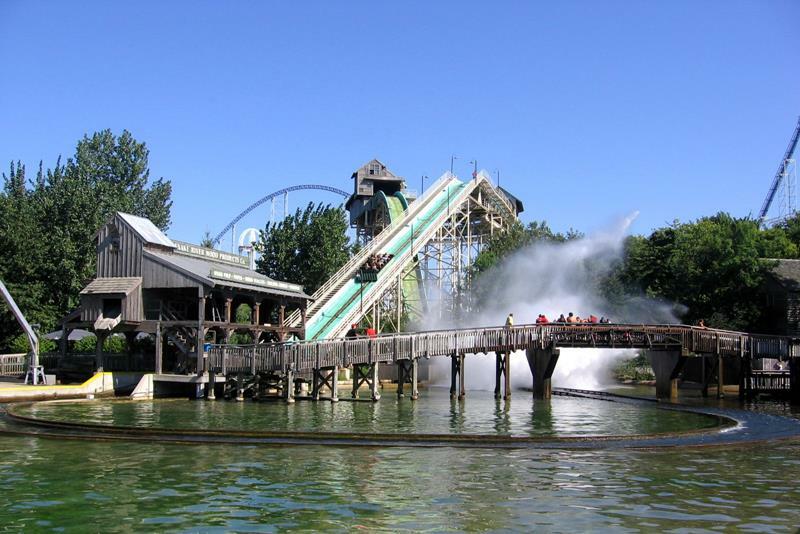 The ultimate water ride in Cedar Point Amusement Park might be this one, as there are a few surprises in store for those who’ve never ridden it before. Need some time to try off? 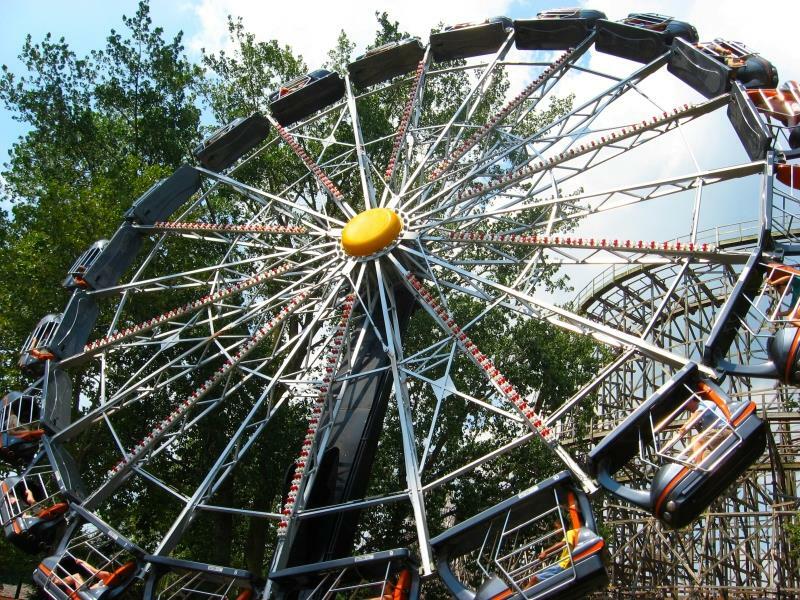 Then why not get a view of the whole park from the Giant Wheel, which stands 136 feet tall? 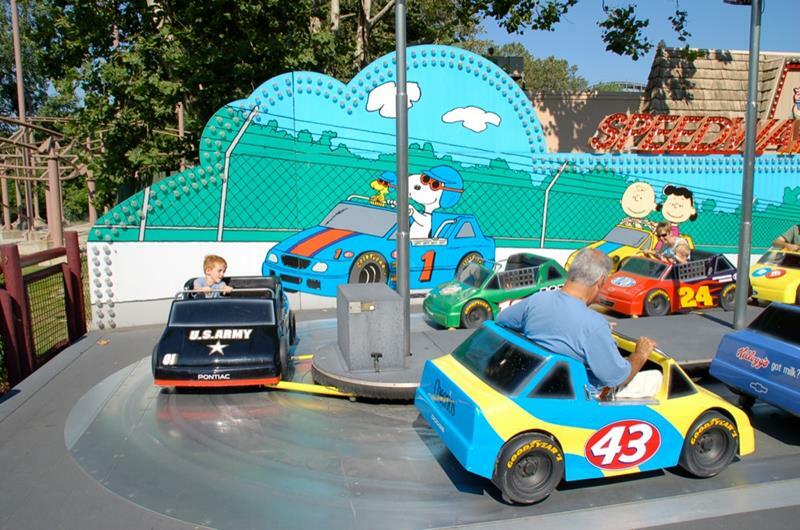 Kids will love hopping behind the wheel of their very own stock car and racing around the track of the Snoopy 500! If you want to see what’s going on across the park, you can head 92 feet up into the air and take a tour on the Sky Ride. 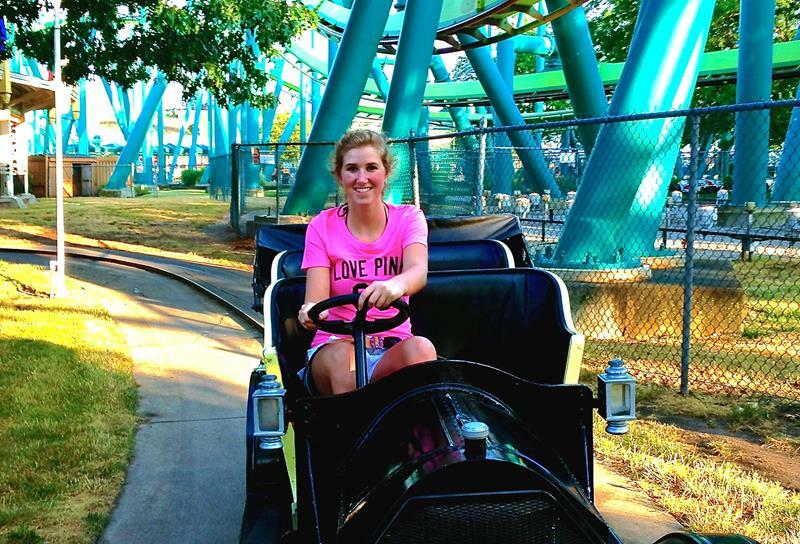 Pay homage to the spirit of the Motor City when you ride behind the wheels of the Antique Cars. Ready for more thrills? 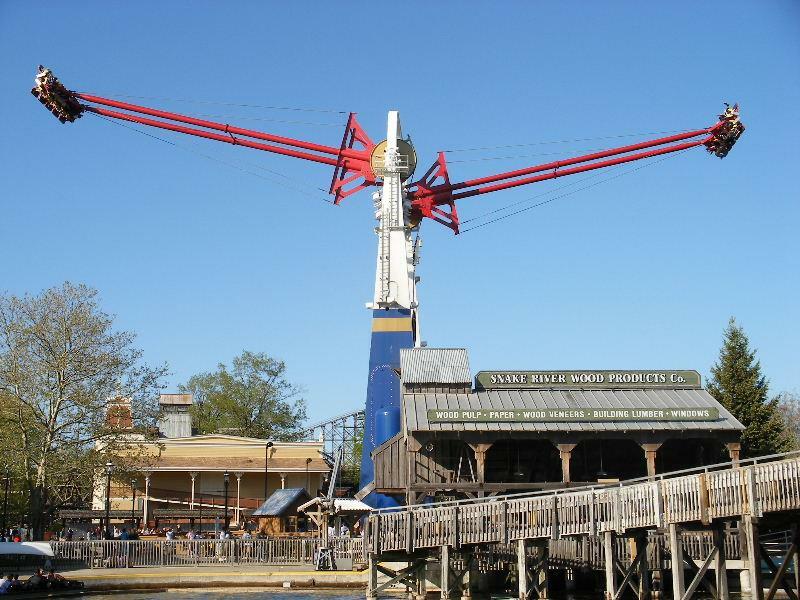 Then maybe it’s time to pay a visit to the Skyhawk, which is the world’s tallest swing ride. 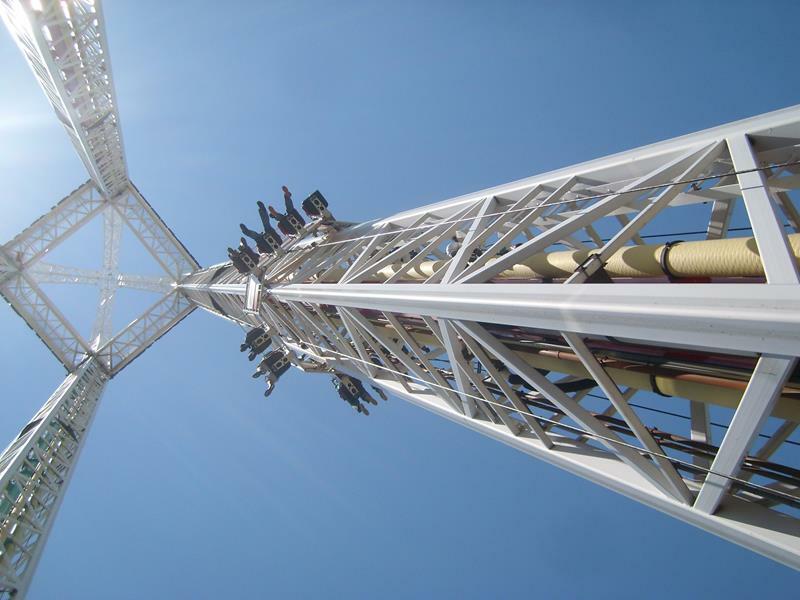 Take the ultimate thrill ride as the Power Tower takes you 240 feet up into the air, only to drop you right back down again. You’ll feel like an astronaut when you experience the g-forces this amazing ride subjects you to. Do you enjoy magic teacup rides? Well, this is one of those rides but on steroids. It’s more thrilling than it looks! For a few brief moments on this ride, you’ll get to experience what it’s like to be completely weightless. 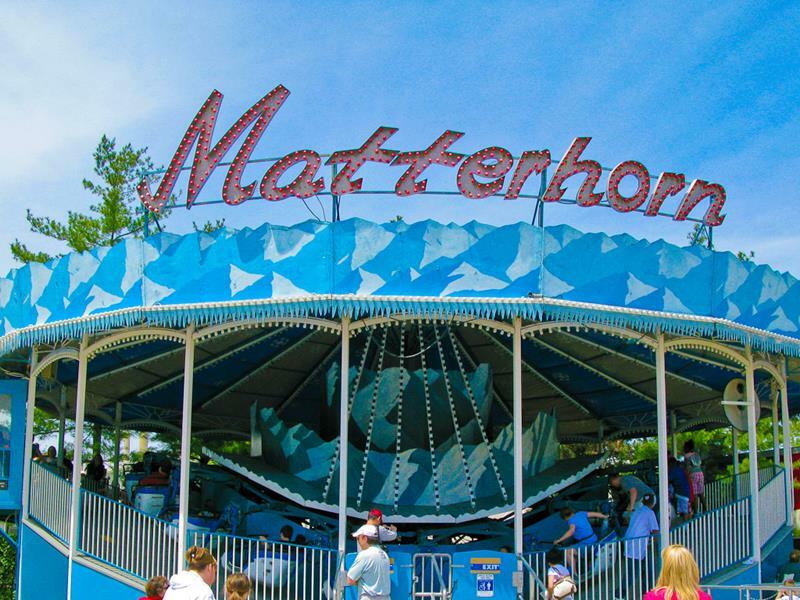 Although not as thrilling as some of the other rides, a trip to Cedar Point Amusement Park wouldn’t be complete without a twirl on the Matterhorn. 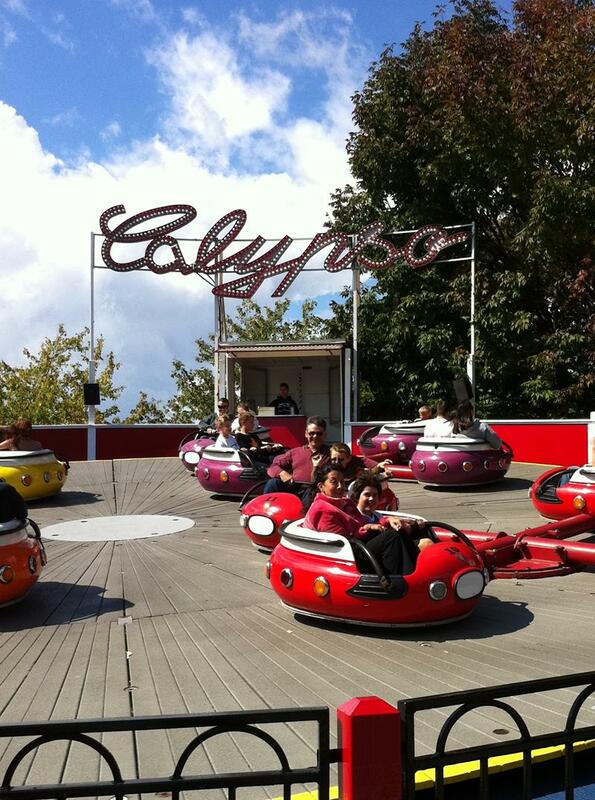 Fans of bumper cars will certainly enjoy crashing into their family members and complete strangers on Dodgem. 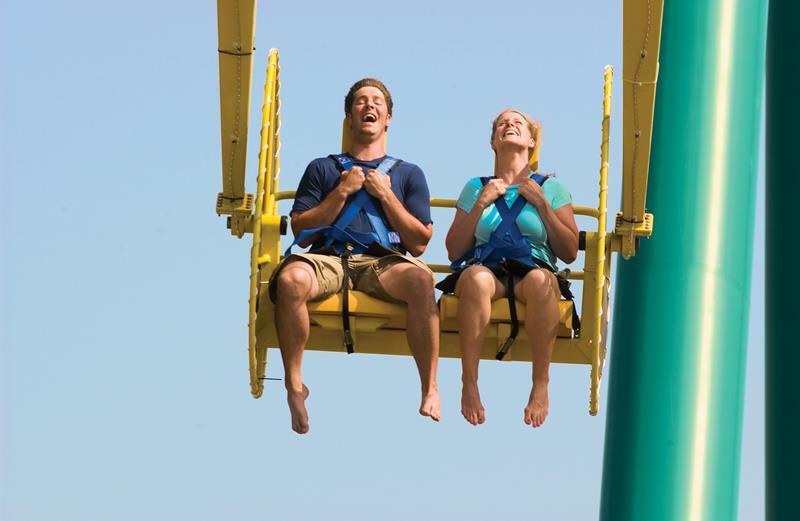 Does spinning around in a chair suspended over 300 feet in the air sound fun to you? 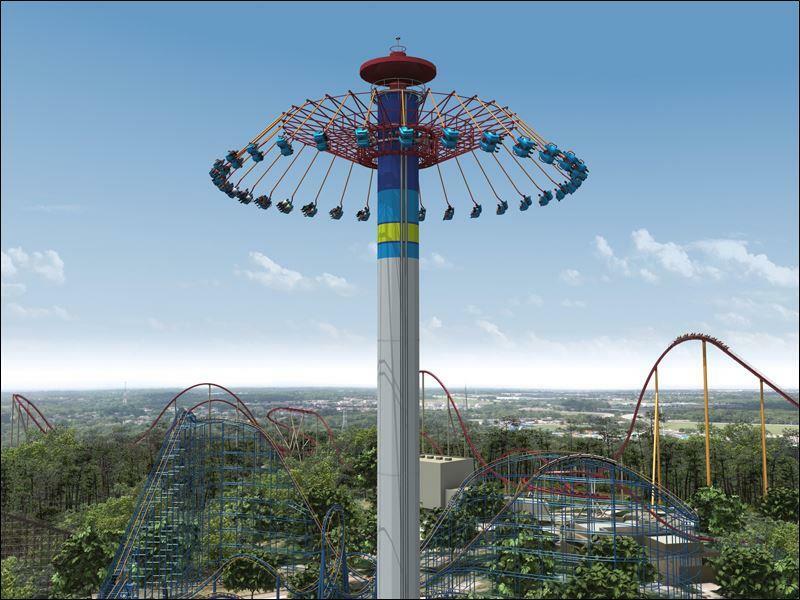 Then head to the WindSeeker! There’s not a kid alive that doesn’t love dinosaurs. That’s why you’ve got to take a tour of Dinosaurs Alive, the amusement park’s version of Jurassic Park. On this trilling ride, two pairs of passengers swing on opposite ends of one another, and around and around and around they go! 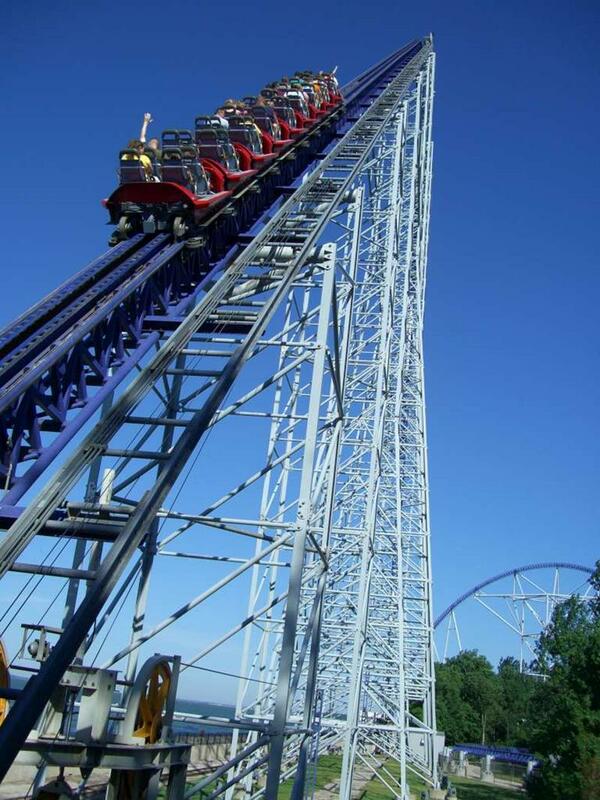 Find out what it’s like to be Superman as you fly through the sky on this amazing thrill ride. 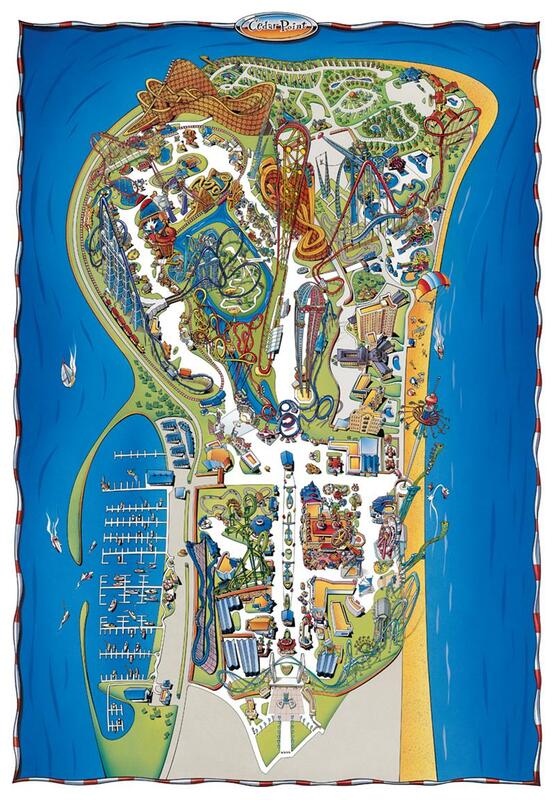 After a long day of thrill seeking, maybe you’ll feel up to the challenge of tackling Cedar Point Amusement Park’s amazing mini golf course. 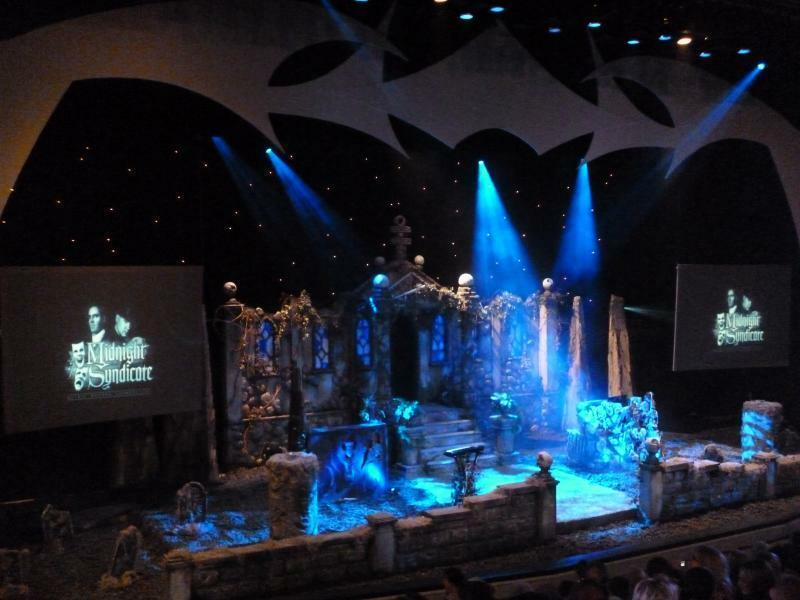 Every summer, Cedar Point Amusement Park features a number of different shows that keep guests entertained and coming back for more. 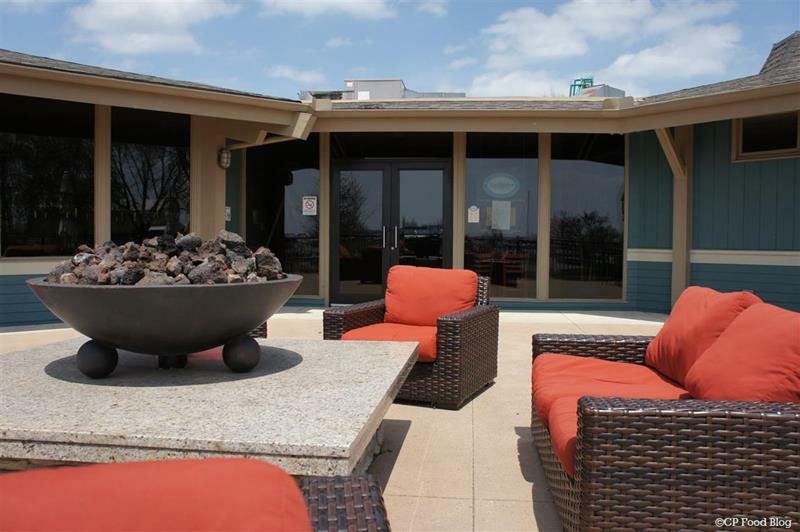 If you’re tired of eating amusement park fare, then you can head to Bay Harbor for a relaxing and elegant meal. 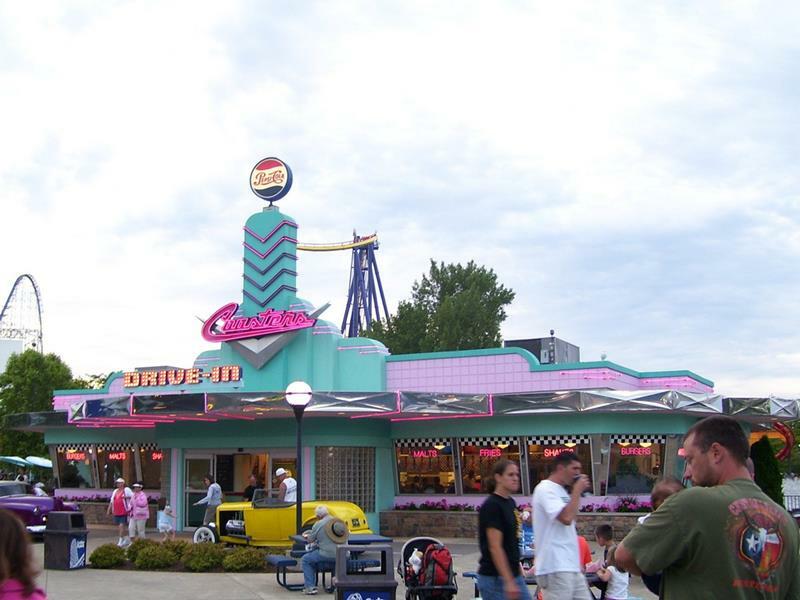 Or, take a trip back in time (and grab a malt) by paying a visit to the delightfully retro Coasters Drive-In. 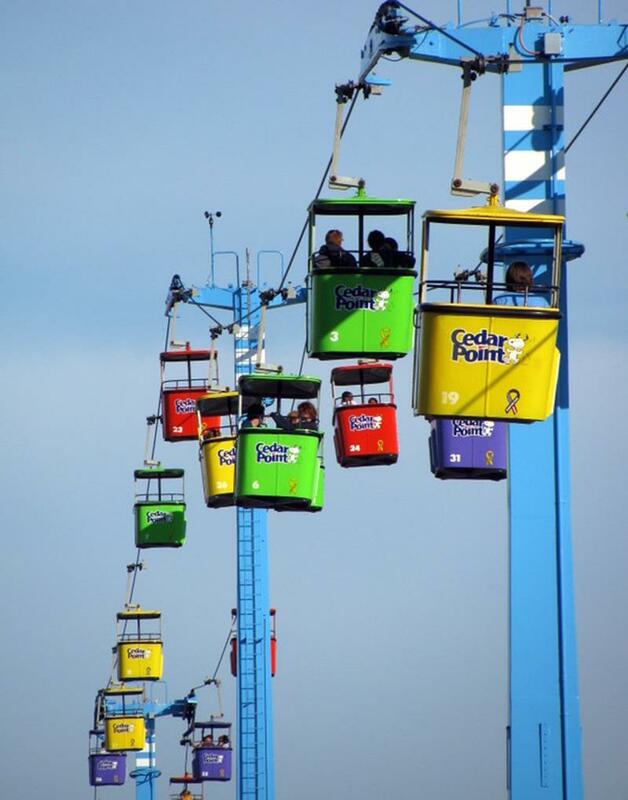 Winter’s coming to an end soon, and Cedar Point Amusement Park is slated to open for the season on May 9th!